Are you looking for some excitement? The Glissades des Pays d’en Haut await you! You can’t miss out on the rafting and tornado runs that attract new fans every year. Descend the snowy rapids in a raft, and you will get goosebumps when caught in the eye of the tornado. 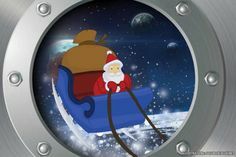 In addition, come experience the unique Bobsleigh des neiges, 3 runs with turns of over half a kilometre each. New feature for winter 2018: The Vortex360 with 3 new runs. If you prefer gentle descents, you will also find many slopes that are accessible for the whole family. 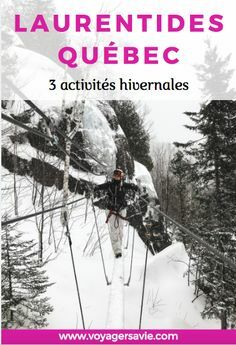 Just 30 minutes from Montreal, the Glissades des Pays d’en Haut are undoubtedly your can’t miss destination this winter! Spring break schedule: March 4 to 8, 2018, from 9:00 a.m. to 8:00 p.m.; March 9 and 10, 2018, from 9:00 a.m. to 10:00 p.m.; March 11, 2018, from 9:00 a.m. to 5:00 p.m.
Take the chance to end your day at the Cabane à sucre Arthur Raymond! Direct access with the rafting lift for holders of valid rafting and tornado tickets and via the Bobsleigh/Vortex360 lift (closes at 5:00 p.m.) or by car. Open 7 days a week from 11:00 a.m. to 8:00 p.m.
Sommet Saint-Sauveur, versant Avila offers 19 snowtubing chutes, 2 snow rafting runs, 4 lifts and lots of fun! This winter, hang on to your hat! Sommet Saint-Sauveur, located at versant Avila, has some intense snowtubing chutes. Spring break schedule: Monday to Thursday from 9:00 a.m. to 4:00 p.m., Friday and Saturday from 9:00 a.m. to 9:00 p.m. and Sunday from 9:00 a.m. to 5:00 p.m.
Aventures Neige is the perfect place for a family snowtubing outing. 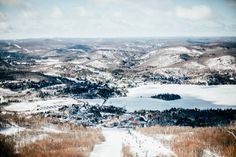 Located on the site of the Comfort Inn Mont-Tremblant, you will find 8 chutes, from beginner to expert, with 2 lifts. Schedule for spring break (March 5 to 10, 2018): 10:00 a.m. to 9:00 p.m.
A snowtubing and accommodations package for 2 adults and 2 children is also available at the Comfort Inn Mont-Tremblant. It includes one night in a classic room, a buffet-style breakfast, 4 entries to the snowtubing centre (2 adults & 2 children) and access to the hotel’s 4-season indoor pool and whirlpool. 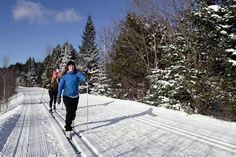 Explore the Laurentians with us! Your getaway is a great chance to stay in the region’s inns, hotels and resorts. For more information, contact us at 1 800 561-6673.